The update introduces new actions for children, as well as new quests to complete and hobbies to master. EA Mobile has released the latest content update in its popular life simulation game, The Sims FreePlay. 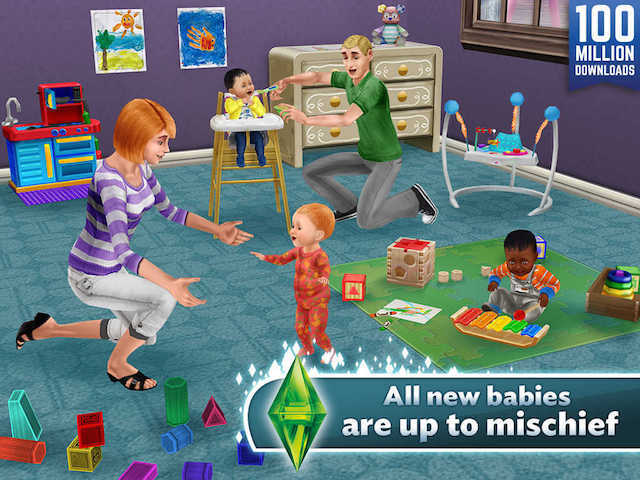 This update is all about babies and toddlers, and while Sims have been able to have children for some time now, this update gives them new abilities, like being able to ‘create mischief’ at the dinner table, among other additions. As part of this update, players also have new quests to complete and hobbies to master. This update is available for players level 10+, and includes the ‘Nanny Knows Best’ quest line. Players can meet the Nanny character in the park, but they may need to complete other event-related quest lines before she’s available for interaction. Elsewhere, players can help their baby master the Musical Expression hobby, while toddlers can complete the Finger Painting hobby. This hobby allows players to decorate their Sims’ homes with the child’s artwork. A second themed quest series, ‘Super Toddler Secret Mission,’ will release in The Sims FreePlay on August 13. These quests will see toddlers playing with their imaginary friends on an adventure as a super hero. Finally, this update offers limited time prizes, including cartoon hero costumes, baby jumpers and overalls. The Sims FreePlay is available to download for free on the iTunes App Store, Google Play, the Amazon Appstore and Windows Phone Store.